Home International Tribunals Archive for category "International Tribunal for the Law of the Sea"
An overview of the Ghana/Côte d’Ivoire judgment is provided in the first part of this post. The purpose of this second part is to highlight issues of practical significance which flow from the judgment. In two important ways, the Ghana/Côte d’Ivoire judgment has demonstrated the functionality of dispute resolution processes under Part XV of UNCLOS, both in the context of maritime delimitation disputes and more generally. 5) objective or scientific factors that could be taken into account to determine the existence of actionable environmental damage to the marine environment under Articles 192 and 194 UNCLOS. Interestingly, the arbitral tribunal did not assume jurisdiction in this case over the interpretation of “military activities” within the meaning of Article 298 of UNCLOS, which the Philippines had asserted in regard to various military and paramilitary incidents with China over Second Thomas Shoal. It would be interesting to see, in the coming days, how the United States reacts to this development, since it has frequently insisted on the prerogative of the coastal State to make the authoritative determination of what “military activities” could be justifiably excluded from compulsory dispute settlement under UNCLOS Article 298(1)(b). The evidentiary rules and fact-finding procedures of this tribunal will also, I suspect, also provoke considerable commentary, if not critique, since the tribunal drew heavily from numerous statements, published views, and opinions that were attributed to the respondent in this case. One can also expect questions to be raised on why the respondent never chose to participate in the proceedings if only to challenge jurisdiction, to contest the veracity or authoritativeness of the Philippines’ technical, environmental, hydrographical, and other expert submissions under protest, or to otherwise set its own narrative, instead of permitting China’s narrative to be formed from the tribunal’s reconstruction of innumerable media statements and statements of officials. Clearly, this award has greater consequences beyond China’s repeated refusal to recognize it (at least for now). As a subsidiary means for determining international law, it is conceivably difficult for any of the claimants – the Philippines included – to ignore the legal effect of this ruling and its impact on all future steps to be undertaken in the actual maritime boundary delimitation negotiations. The ruling will likely affect the landscape of interpretation for the 2002 Declaration on the Conduct of Parties to the South China Sea, and the ongoing work agenda of the ASEAN-China Working Group on the Code of Conduct for the Parties to the South China Sea. Whatever the stated preferences may be of China or the new Duterte administration in the Philippines, and regardless of objections to the veracity of factual findings of the tribunal, the very existence of the Philippines v. China arbitration award as a subsidiary means for determining the rules of international law arguably changes the very scope and interpretation of actual applicable law to be considered by parties to this dispute. Yesterday I set out the background to the Position Paper issued by the China, on December 7, 2014, “on the Matter of Jurisdiction in the South China Sea Arbitration initiated by the Republic of the Philippines” [hereafter, “China Position Paper”] and examined China’s first objection to the jurisdiction of the arbitral tribunal. In this post, I consider the other Chinese objections. Second Chinese Objection: Did the Philippines violate the duty to negotiate in regard to the subject-matter of this dispute, when it initiated the arbitration? The China Position Paper effectively maintains that the ‘exclusive’ dispute settlement mechanism between the Philippines and China on the South China Sea is friendly consultations and negotiations (China Position Paper, paras. 30-39). This position would appear tenable, if one were to tacitly accept the characterization of the arbitration’s subject-matter as one involving claims for maritime delimitation, rather than merely the “interpretation or application of UNCLOS” to the maritime limits drawn in the 9-dash line map as well as to the submerged geographic features described therein. Leila Nadya Sadat is the Henry H. Oberschelp Professor of Law and Israel Treiman Faculty Fellow at Washington University School of Law and has been the Director of the Whitney R. Harris World Law Institute since 2007. 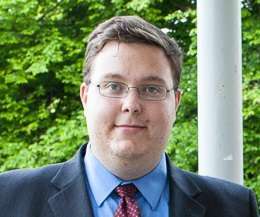 Douglas J. Pivnichny, JD, is the Whitney R. Harris World Law Institute Fellow at Washington University School of Law in St. Louis, Missouri, and a masters candidate in International Law at the Graduate Institute of International and Development Studies in Geneva. On Thursday, July 17, the International Law Commission moved the topic of crimes against humanity from its long-term to its active agenda and appointed Professor Sean D. Murphy as Special Rapporteur. The Rapporteur’s charge is to prepare a First Report, which will begin the process of proposing Draft Articles to the Commission for its approval. The expectation is that, in due course, the Commission will send a complete set of Draft Articles for use as a convention to the United Nations General Assembly. This was a crucial step in filling a normative gap that has persisted despite the development of international criminal law during the past decades: the absence of a comprehensive global treaty on crimes against humanity.